Linux is an Operating System (OS) like Windows or OS X. It takes pride in being open-source and free, but is also notorious for being unfriendly to new users. Full explanations can be found all over the Internet, and generally it is advised for new users to try Ubuntu or Linux Mint. 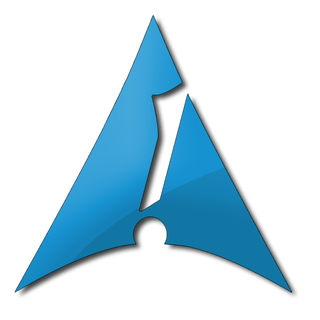 Arch Linux is a distribution (distro) of Linux which follows the Keep It Simple Stupid (KISS) philosophy. Therefore, a fresh install of Arch only has enough pre-installed to boot into the command line. Graphics drivers, a GUI, and most other common default components must be installed by the user. Many people find the setup to Arch to be a turn-off, and I’ll be honest it is a pain. However, after you are done, you get a system which has exactly what you want on it. The detailed installation also helps intermediate users learn more about how a Linux system operates. Rolling Distro: Arch doesn’t have any ‘versions’. When packages are considered stable they are released to the public. Users get to receive the newest updates as soon as they are ready. Pacman: Arch uses the Pacman Package Manager. It is based in the command line but its easy syntax and smart dependency handling make it hard to switch back to anything else. Community: Arch has an amazing community of users (developers, package builders, wiki editors, and forum posters). It is very easy to get answers to questions from the Arch Wiki or the forums. ArchBang is a derivative of Arch. The developers simply take the base Arch install and add more of your basic drivers and the Openbox window manager. This way, a user can still have a basic minimal system with the Arch community backing, but without the headache inducing setup of the main distro. Aside from the install process and initial setup, ArchBang and Arch Linux are virtually identical. Note: I enjoyed setting up Arch the first time, so I am by no means discouraging curious users from trying that. But for those who want to save time, or have already installed Arch once and don’t want to repeat the tedious bits, this is my preferred distro. How does this differ from Ubuntu or Linux Mint? Ubuntu and Linux Mint are a one-size-fits-all OS. They try to install every common driver and a very large desktop environment so that the system has all of the usual bases covered from the get-go. They are much more cautious about updating software. They try to ensure that no update breaks any part of the system before allowing in major changes through. They are overall much more focused on ease of use for the average user, and try to hide the command line as much as possible. If you are looking for an OS that is low on resources, and you are not afraid of the command line, then ArchBang is the OS for you.